We are always talking about how BIG Myrtle is, and answering questions like "What's the biggest fish in the tank?" 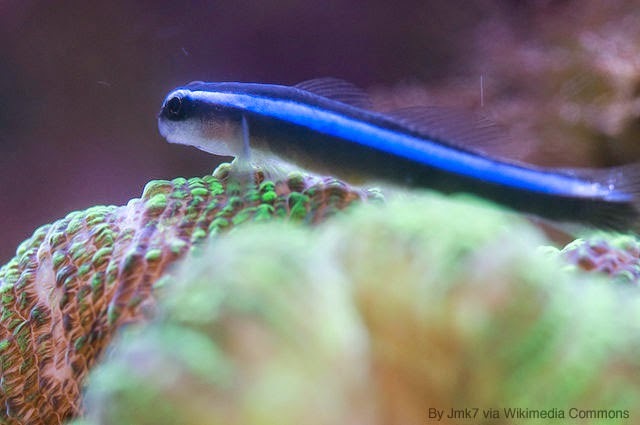 and "What's the wingspan of the southern stingrays" and "How long are the moray eels"... but perhaps one of the most interesting fish in the Giant Ocean Tank is also the smallest resident: the neon goby! Neon gobies are cleaner fish and congregate in cleaning stations waiting for fish to require their services. 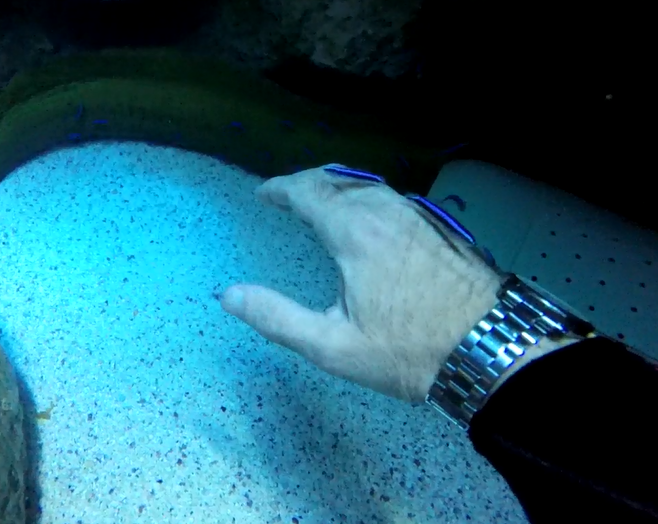 Check out this video of our Nassau grouper at the "neon goby spa". Neon gobies, Elacatinus oceanops, reside in the Gobiidae family, which has 38 species alone in the Caribbean. They typically don't grow any larger than 2" long, and as is obvious by their name, are recognizable by the electric blue body stripe running from eye to tail. 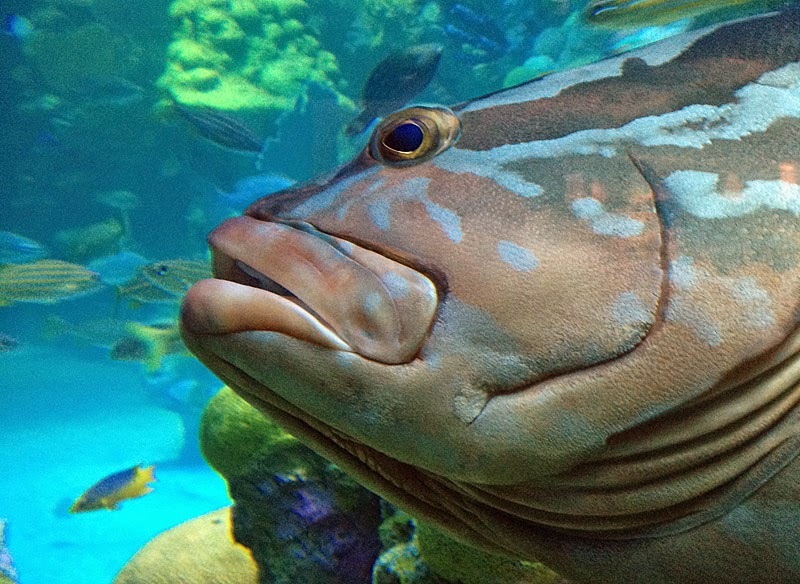 Nassau grouper in profile. This fish loves getting its picture taken! You'll find neon gobies in another part of the Aquarium, too! 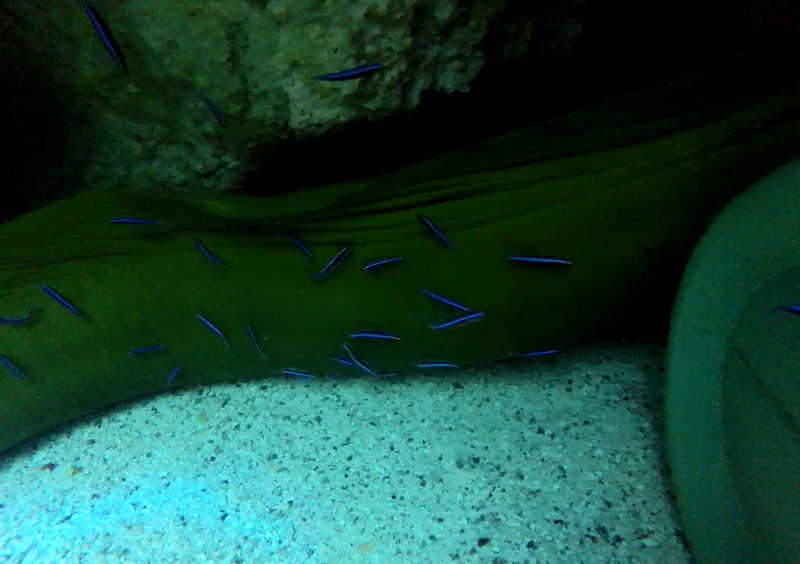 Check out this video of neon gobies cleaning the Goliath groupers in the Blue Hole exhibit on Level 2.